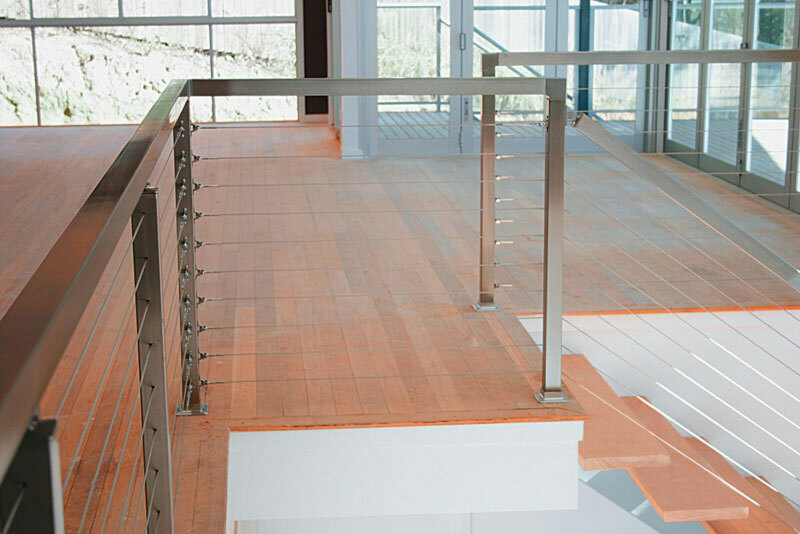 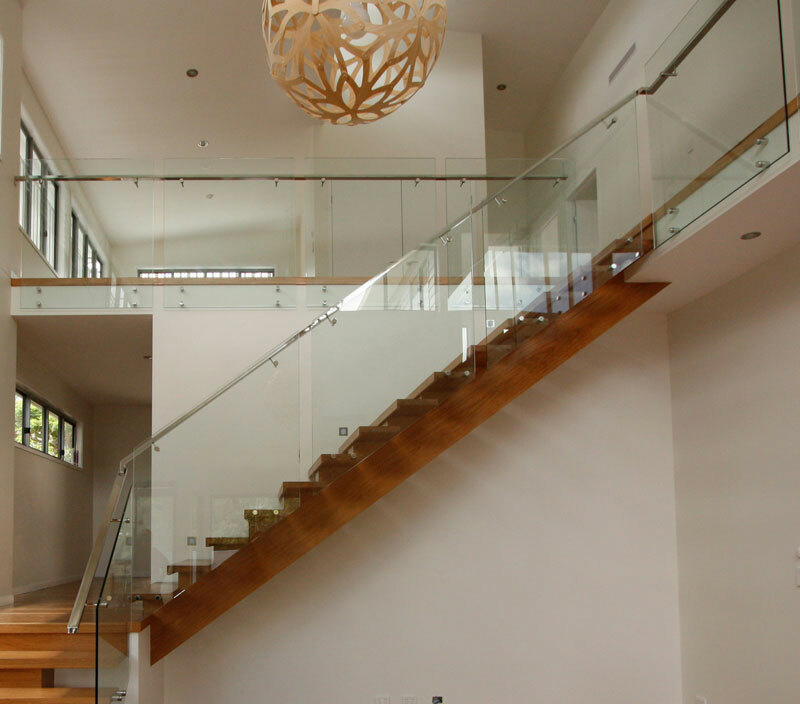 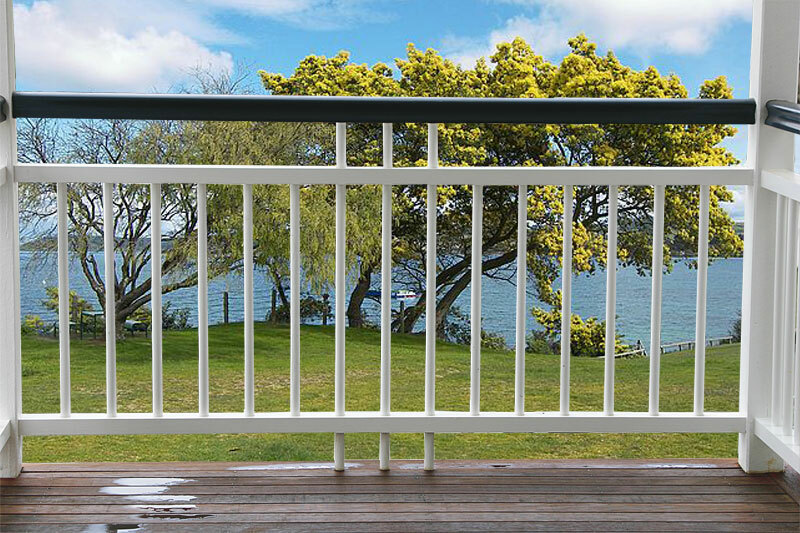 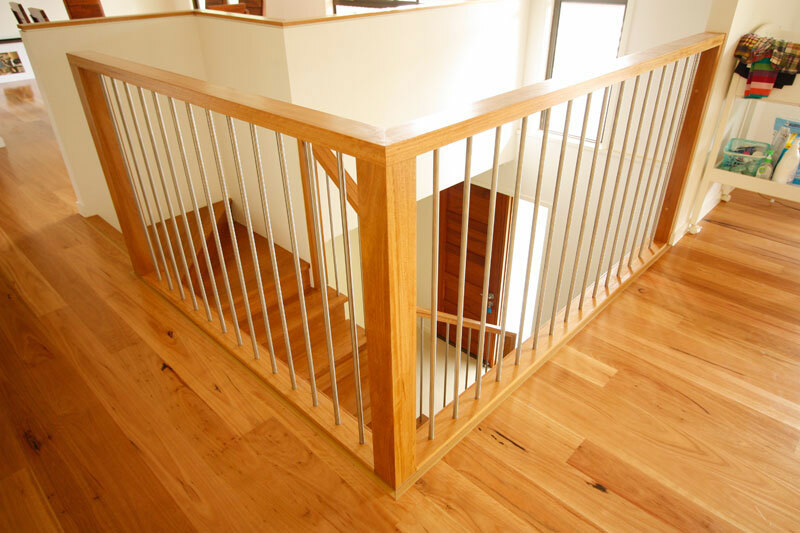 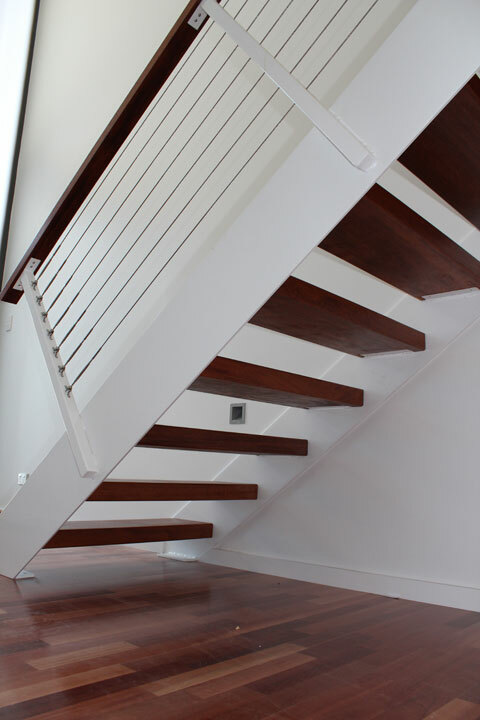 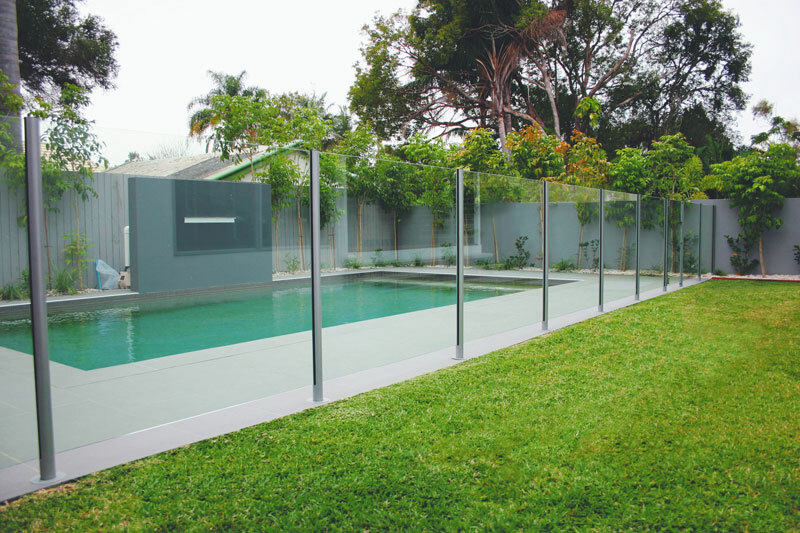 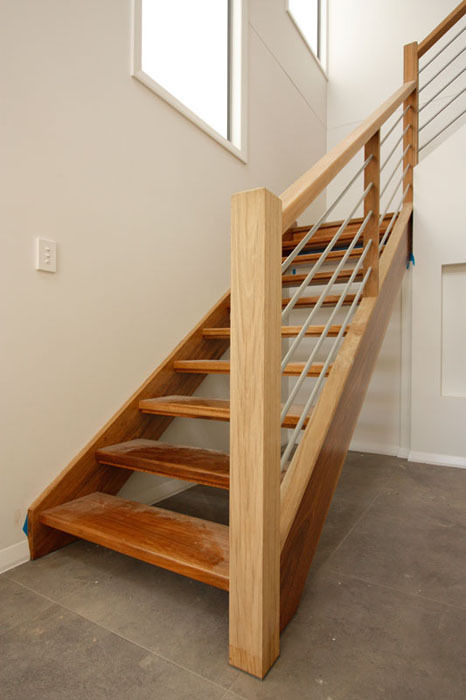 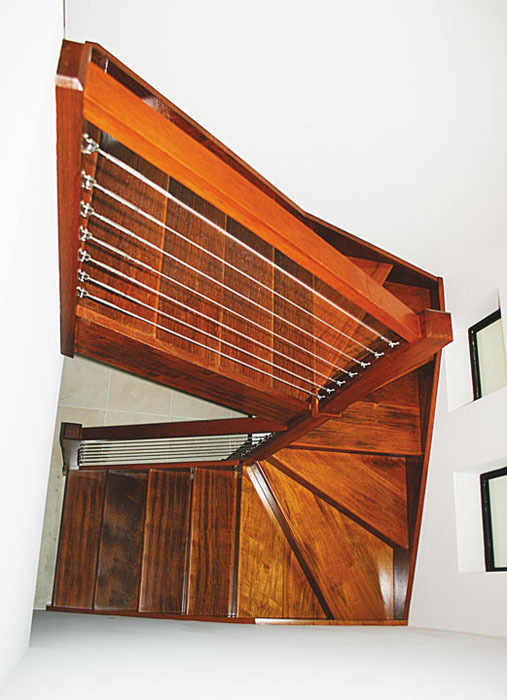 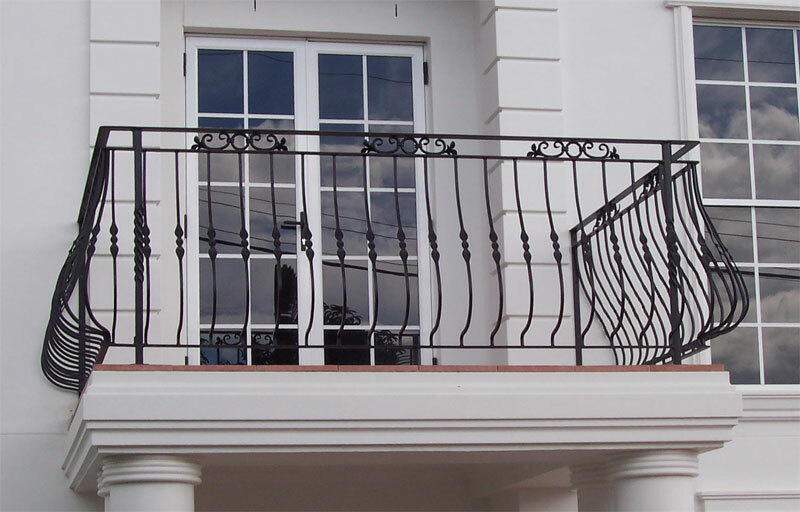 Balustrades are the vertical supports for a handrail but contemporary balustrades include glass panels, stainless steel cables and wrought iron or timber balusters - Our range of timber and iron Balusters are shown to the right. 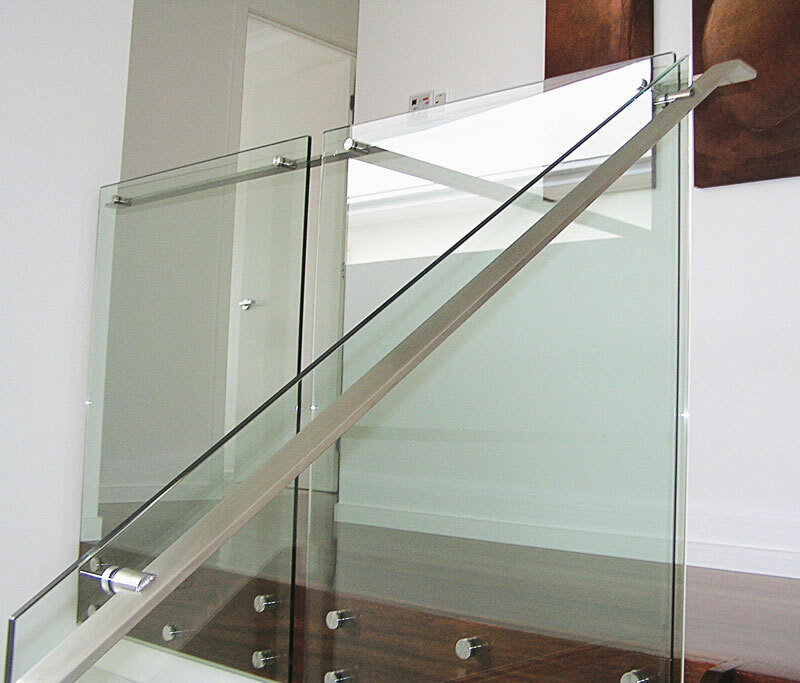 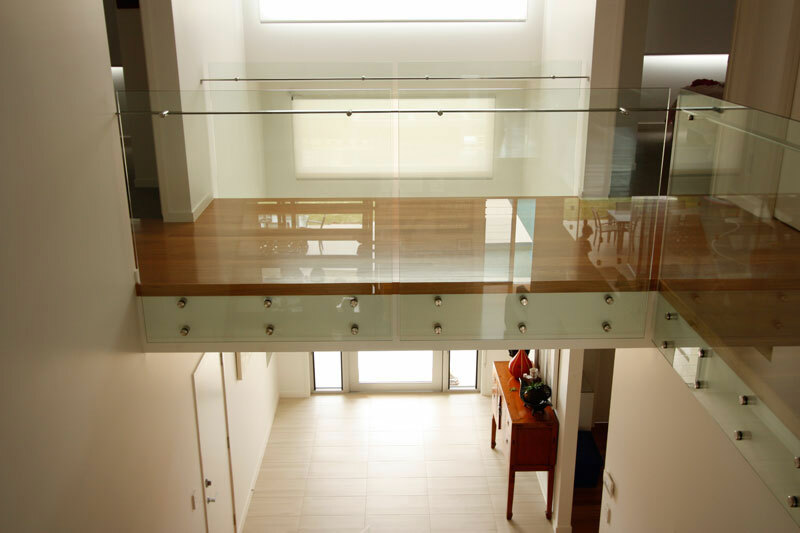 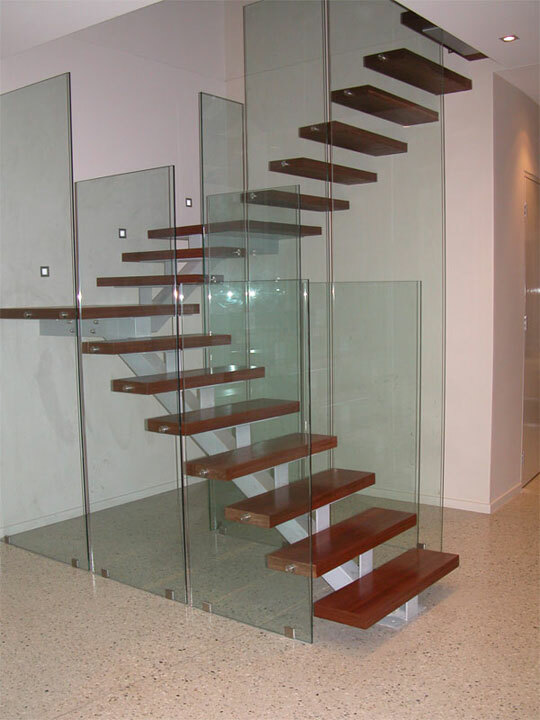 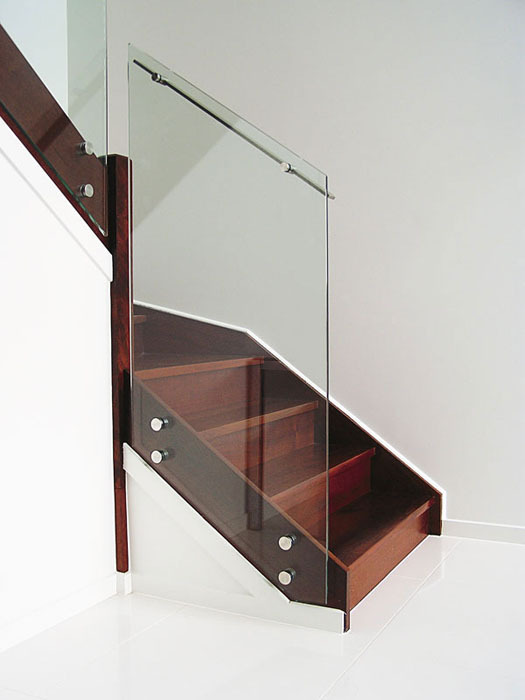 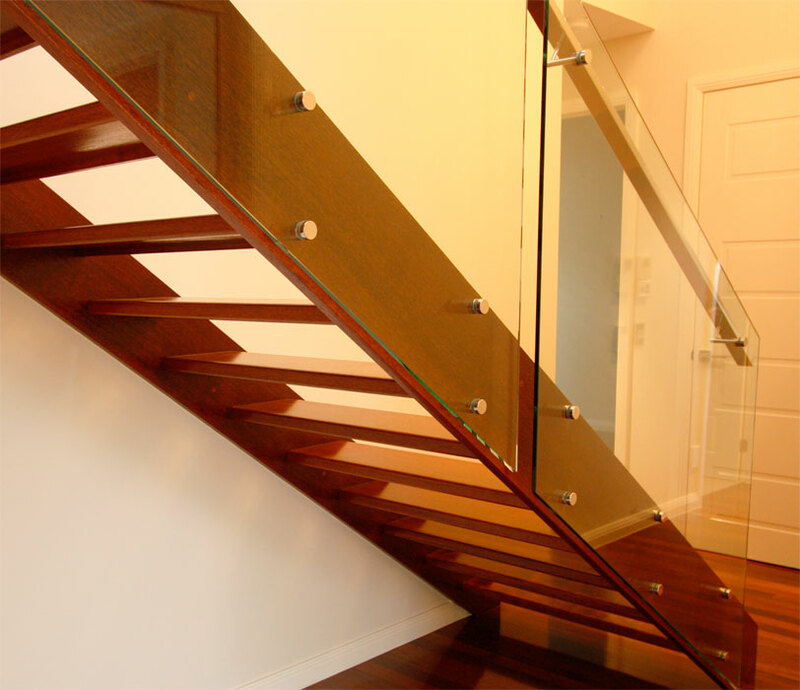 Glass used for balustrades is toughened glass, produced through a process of rapid heating and cooling, causing it to become toughened and four to five times stronger than ordinary glass. 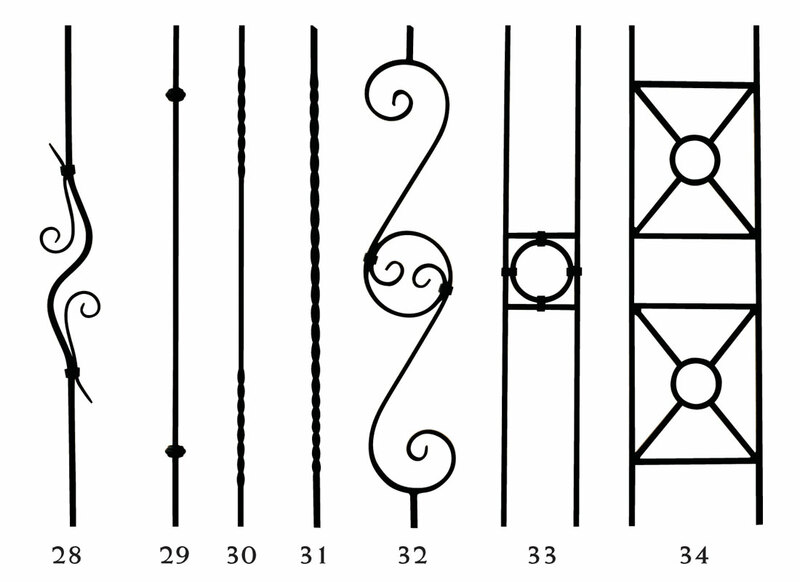 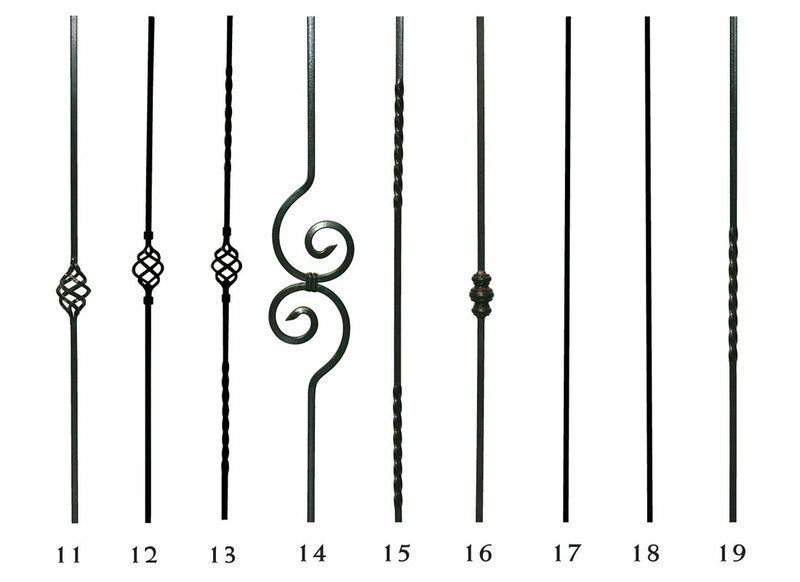 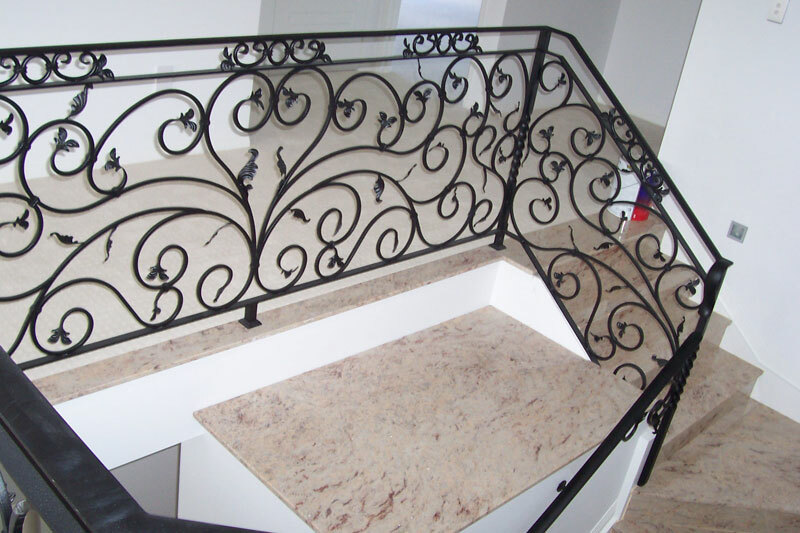 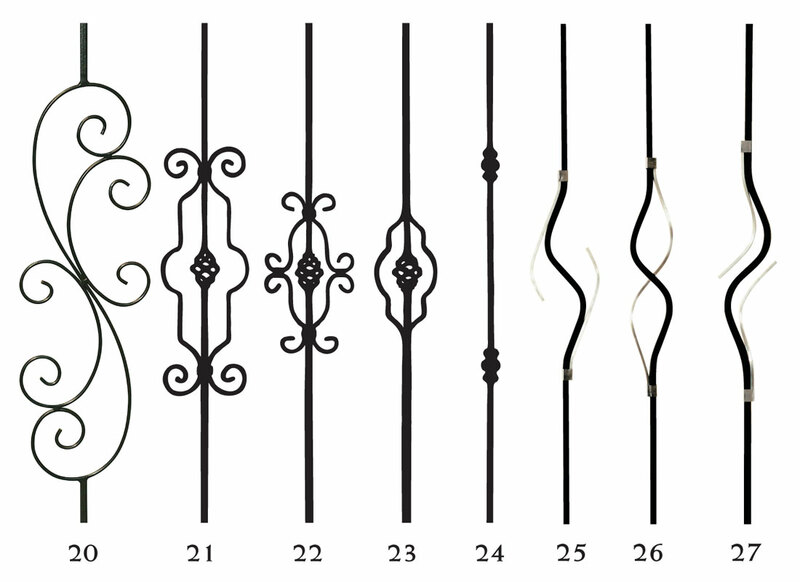 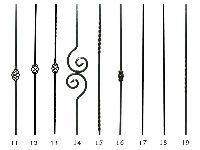 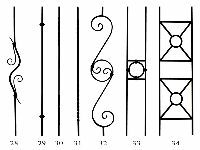 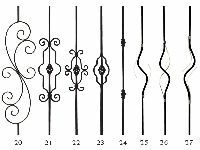 Choose from our range of wrought iron balusters incuding both traditional and modern designs. 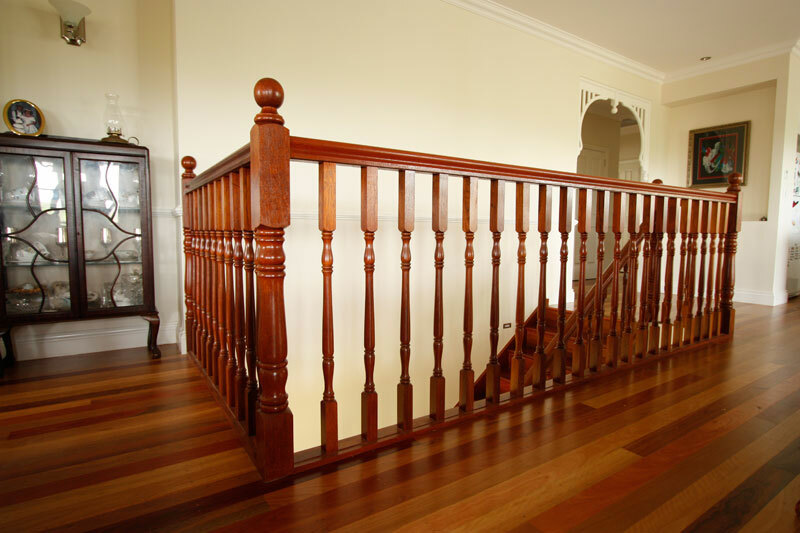 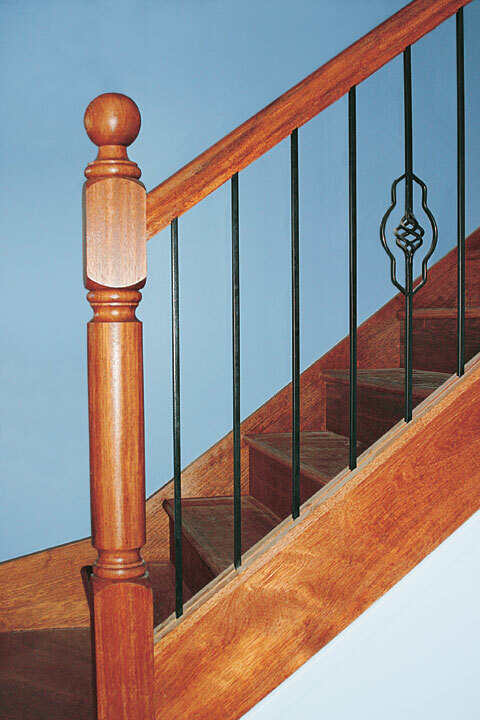 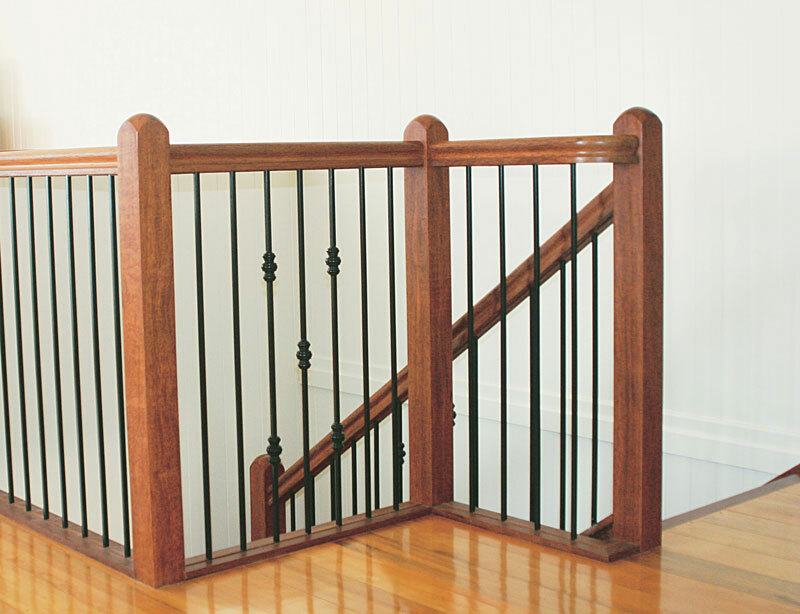 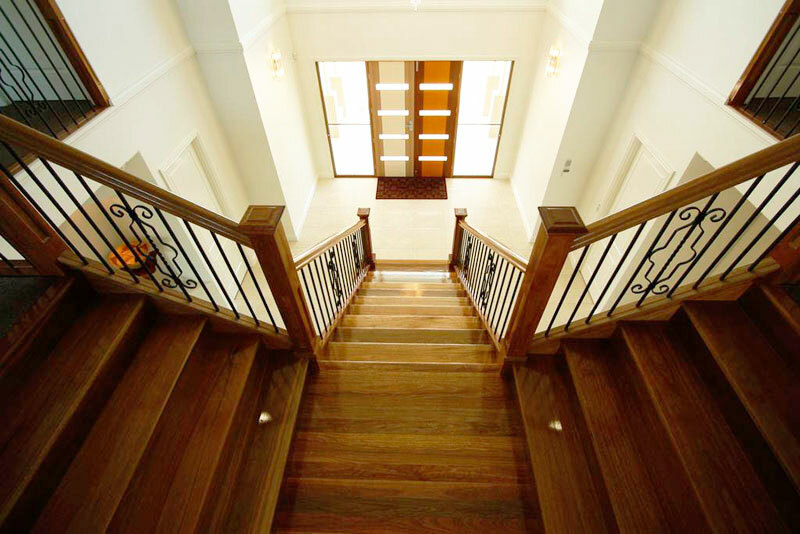 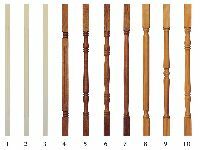 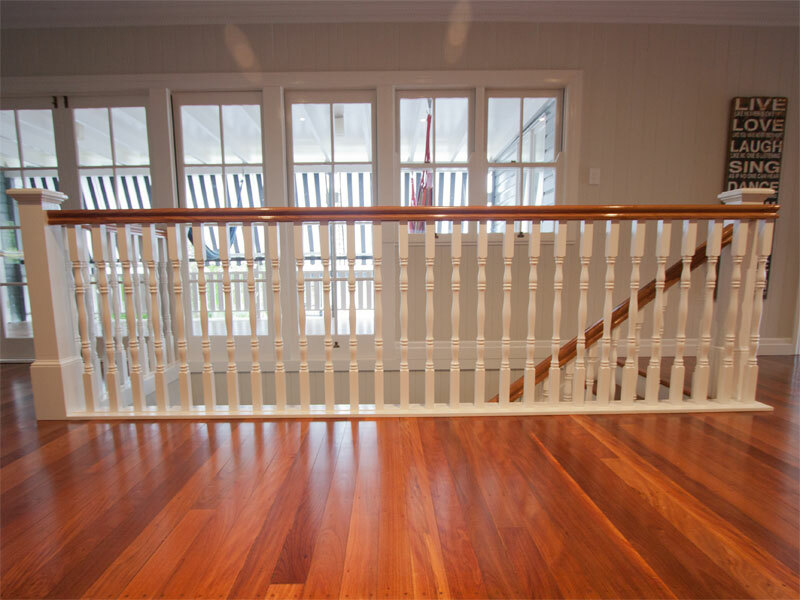 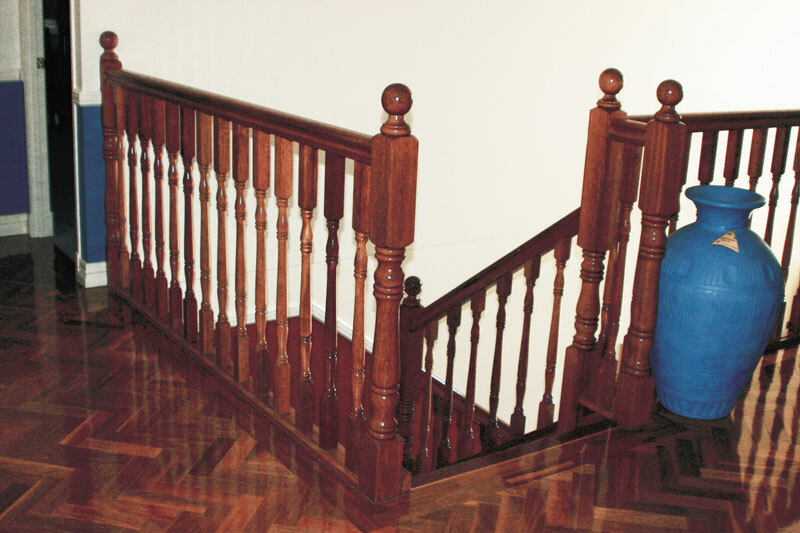 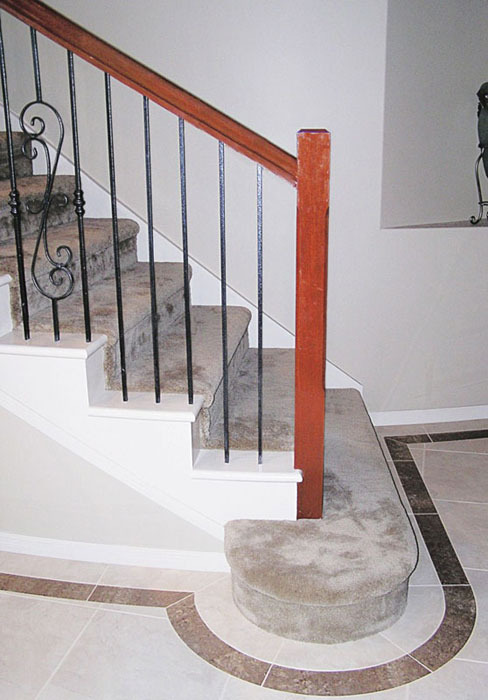 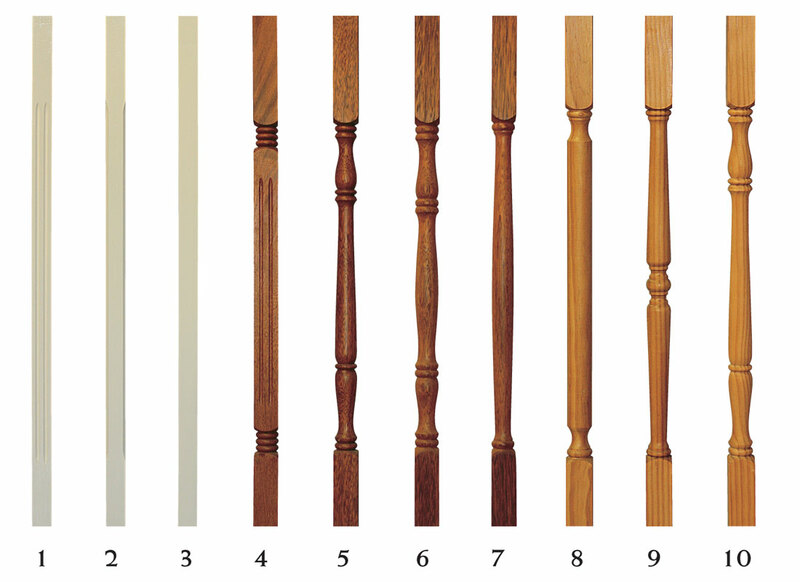 Wrought iron balusters provide a more open look compared with timber balusters. 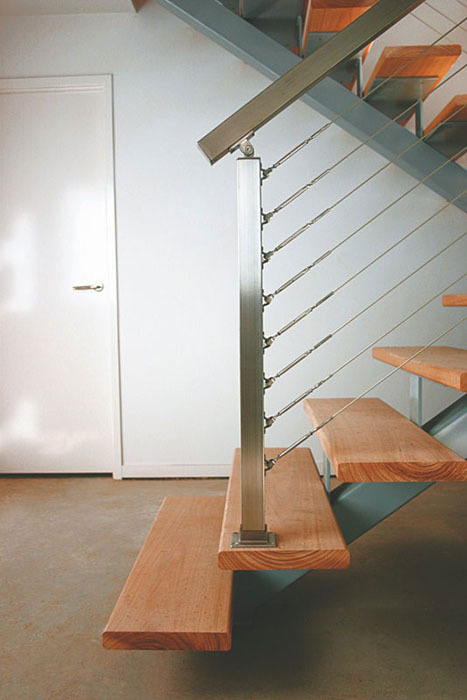 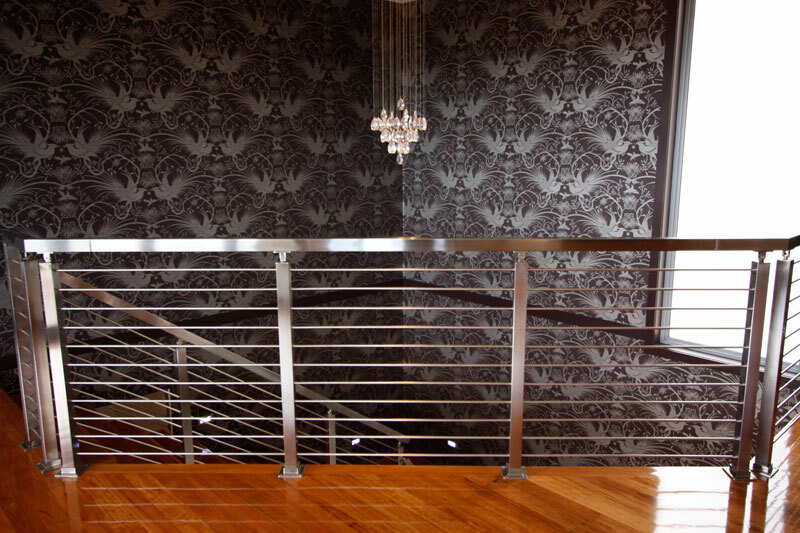 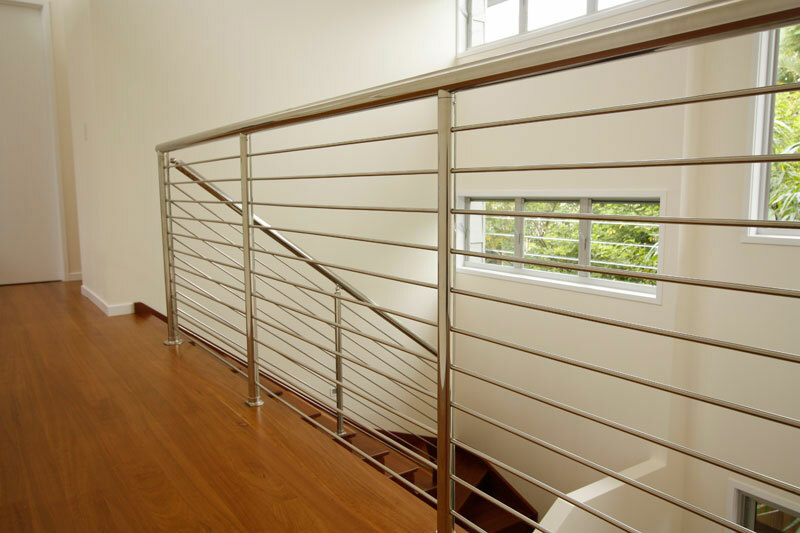 Stainless Steel rails can be used in various configurations to accentuate the contemporary styling of your home. 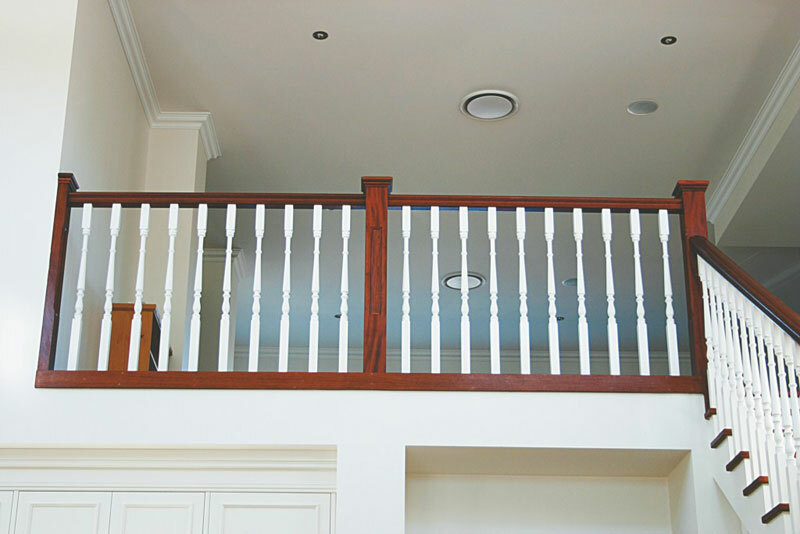 The rails may be aligned either horizontally or vertically to gain the best effect. 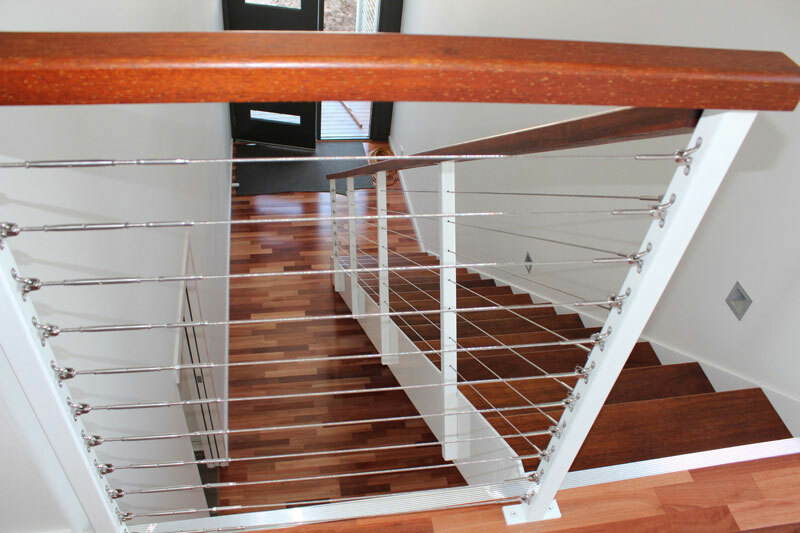 A style that originated with boating enthusiasts and has carried through into home decor is Stainless Steel wire. 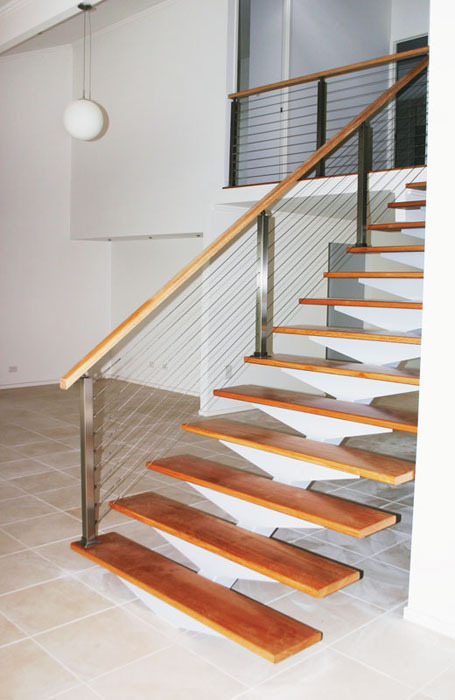 The cables are tensioned to provide a very pleasing looking barrier.